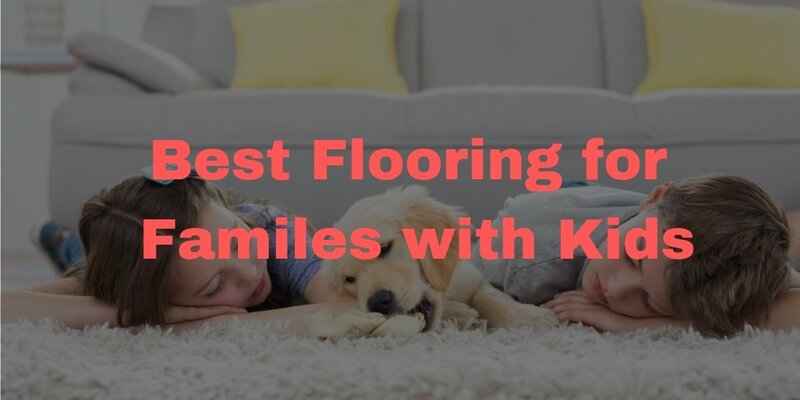 Carpet has several distinct advantages for kids. It’s softer than other flooring options, making it ideal for possible trips or falls. It is also a great insulator, so it’ll help to muffle noises and keep the room warmer. One of the largest drawbacks of carpet is that it is hard to clean. Water and other liquids that get caught in the padding or carpet fibers can cause mold and mildew. You’ll want to choose a carpet that is stain resistant and vacuum frequently. Carpet works well in bedrooms or other low traffic areas, but not in the busier areas of your home. Hardwood flooring is easier to clean and more durable than carpet, but it may not hold up well to the constant wear and tear of children. Spills are also a huge problem that can cause issues if not cleaned up immediately. Hardwood flooring also won’t cushion falls. When choosing a hardwood, look for one that has a high Janka hardness, like hickory or oak. Area rugs can also help prevent scratches and cushion falls. Vinyl, either luxury vinyl or sheet vinyl, is one of the best options if you have children. It is very durable and doesn’t easily scratch or ding. With many 100% waterproof options out there, spills are not an issue. You also have the option of replacing individual planks or tiles if one of the does get damaged. All flooring options have its advantages and disadvantages that you have to consider if you have kids. Depending on the room, one flooring option can work better than others. Let us help you decide on the best flooring option for you, your home, and your family.